Submission Guidelines – I Believe in Angels – Do You? We welcome our user stories. If you have a story to share, please review the information below. True Angel and True Life Story Content: An event that happened to the author or someone close to the author. 1. Submitted material must glorify God in some way: Hint: Reading the following pages prior to submitting your material will give you a good perspective on what this website is all about. As a Christ-centered web site, we do not accept submissions that talk of praying to, worshipping, or otherwise deifying angels. While we appreciate all submissions, not all stories will be placed on the web, nor can we acknowledge receipt of the story. In some cases, short stories may be combined with other stories. 3. Please check your spelling and grammar prior to submission. 4. Author must give permission to edit (if needed) and publish the story in any media including electronic or print publications. Please Note: We do not give other people permission to publish your story. 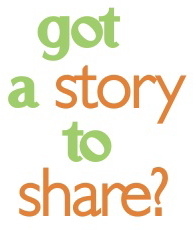 If you wish it shared with other websites, you must submit the story to them. 5. Author’s “real” name, address, e-mail address and phone number must be included with story, although the only personal information placed for public viewing will be the author’s name and/or geographical location. (The city/state/country of author will be included unless we are requested not to share that information.) The story copyright and ownership remains with the author. However, when the story is published on this website or other media we own, it is also protected under our copyright. Please note: If you do not choose to identify yourself, please do not send your story! 6. There is no compensation for materials submitted to this site. 1. PLAIN TEXT ONLY format. Do not use HTML markups, graphics or ALL CAPS. Date true story happened (as close to the exact time as possible). 3. Submit your article via the appropriate submission form on this site. Why do we need your personal information? Because people sometimes ask if the story is true and want information we can’t provide without further contact with you. Also, because (unfortunately) some people are dishonest and all of us have to pay the price for their dishonesty. And sometimes we get inquiries from news media and movie producers who want to contact the author of a story. Yes, that really happens. Thank you so much! May God bless you.